KANSAS CITY, Mo. 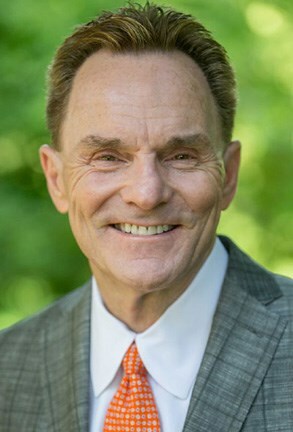 (BNG) — Southern Baptist Convention (SBC) President Ronnie Floyd suggested merger of the convention’s two missions boards during a symposium on the denomination’s future Sept. 28–29 at Midwestern Baptist Theological Seminary in Kansas City, Missouri. “Structures and systems flow from the work of God,” Floyd, pastor of Cross Church in Northwest Arkansas, told denominational leaders at the first installment of new symposium series to be held once every three years. “They do not create the work of God. “If we hold on to our old structures and systems — more concerned about preserving them than seeing them conformed to what God is doing today — then we may lose both the work of God and this present generation of Baptists,” he said three months into his second and final one-year presidential team. Floyd, a member of two panels in the last 20 years to reorganize and reprioritize the nation’s second-largest faith group and chair of the “Great Commission Resurgence” task force that brought recommendations approved in 2010, said for the purposes of his assignment he was presenting his observations about spiritual renewal and “strategic reinvention” of SBC as questions. Unique roles of each missions board. Cooperative Program dollars would be held mostly by one board instead of two. At present, merger would mean that 73 percent of the SBC portion of the Cooperative Program unified budget — more than $137 million — would be controlled by one board of trustees. The timing has never been right. This entry was posted in Home and tagged Cross Church, missions, Ronnie Floyd, Southern Baptist Convention. Bookmark the permalink.